Today, Canada gets a taste of what the US market has been experiencing since CES 2011. The Linksys Canada team is ready to roll out the new E-Series routers to the whole country, from coast to coast and Futurelooks was invited down to check out what makes them special. Mathieu Whelan, Sr. Brand Manager for Linksys, gives us the 411 on each of the new products from the budget friendly E1200 at $59.99 to the full featured E4200 at $189.99. All of them support 802.11n wireless connectivity, user friendly Cisco Connect software/firmware, and a new industrial design that gives Apple a run for their money. But as you go up the line, your speeds and range go up, making it easy for you to pick the right one for your environment. Shared storage, print server and media server capabilities are also on tap for the E2500, E3200 and E4200 making them great for any media intensive household or office. Also launching, but not shown in the video above, is a new series of switches which include a new 10/100 5 port switch called the SE1500 for $34.99, a 5 port Gigabit version called the SE2500 for $54.99, and an 8 port Gigabit version called the SE2800. The two top ones employ a sleep mode to save additional power, while all of them have cable connect detection to turn off unused ports. 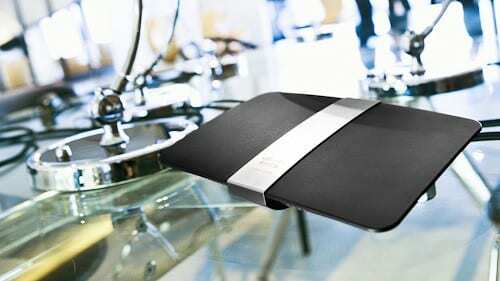 For more information on these new products, check out the Linksys Website. Please check back for our full review coming up in a few weeks.